It could be said that all architects and interior designers design with light. The amount of light in an interior space creates an impression, it sets a mood. It can make an open space feel confined, and a confined space feel open. Our glass and window films and finishes enable branded environment designers to create privacy, carry messages, reduce glare and save energy. Decorative glass and window films transform plain glass, capturing the look of cut or texturized glass at a fraction of the price. 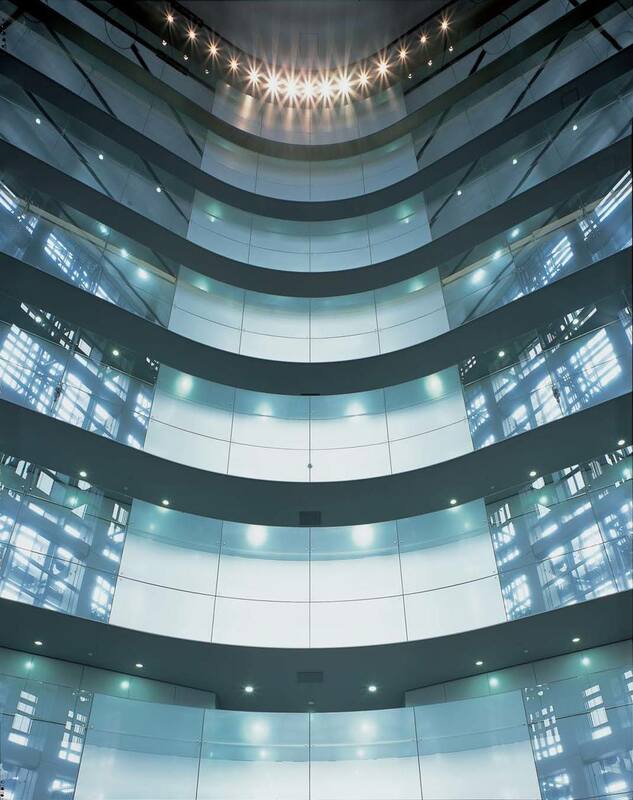 Our custom glass finishes not only allow you to tailor the amount of light and privacy a space possesses, but by die-cutting or layering the films, we can help you create a limitless range of exciting finishes and effects for your branded environment. In addition to a wide array of film and finish options, one-way viewing graphics also enable designers to brand windows and glass while maintaining privacy. And printed window shades and blinds enable designers to use an environment's windows to perform branding and messaging functions, while reducing sunlight and glare. Corporate, institutional and retail branded environment designers who want to create a powerful visual impact with their windows and glass while reaping considerable cost savings should talk to Brandecor.